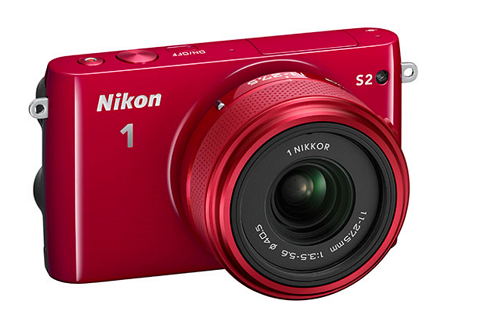 Home camera Nikon Tech News Nikon 1 S2 Announced! One of the leading camera maker has just announced a new mirrorless interchangeable lens camera with a 14.2MP sensor, the Nikon 1 S2. The Nikon 1 S2 is equipped with 14.2-million pixel that can shoot a 1920 x 1080/60p full-HD movies. The new camera also has a built-in vibration reduction.